In this keynote address, Dr. Credle will discuss the significance of a resilient leaders’ mindset. She will expand the discussion by sharing the concepts of G.R.I.T., P.I.E. Formula, Emotional Intelligence, & Vision. In this keynote address, Dr. Credle will present a discussion on the purpose & power of facing the future together, professionally and personally. She will engage the audience in a discussion on identifying and leveraging their assets: diversity, exposure, and influence. 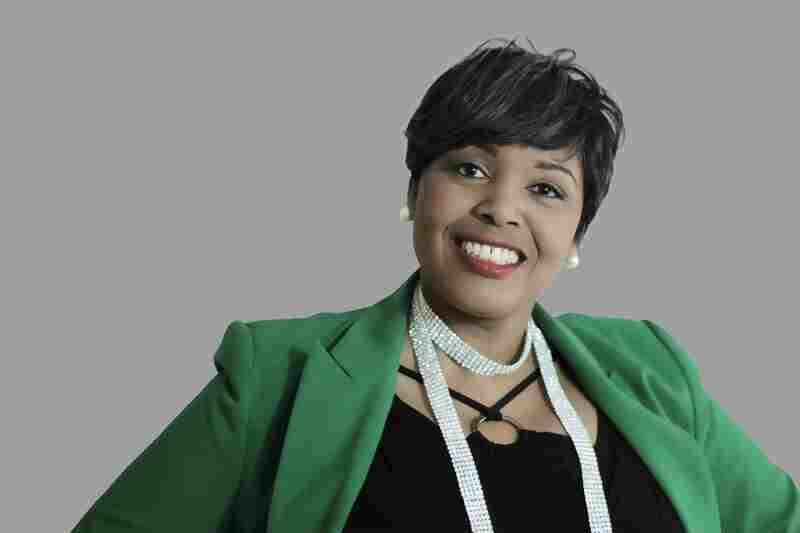 Dr. Sharron Credle is Founder and Chief Executive Officer of The Dr. Sharron D. Credle Corporation which provides consulting and training services. Dr. Credle is also the author of The Dr. S.D.C. Structured Writing Journal (amazon.com). She is currently writing two books: a fictional book about a family’s journey on the Southside of Chicago and a self-help book about the mind. In addition, she is the owner of the Trademarked logos for The DrSDC Corporation and Supplemental Register for Woman: Thou Art Great. Dr. Credle is Executive Producer of the recently released CD, Woman: Thou Art Great - Women Sharpening Women Anthem. Dr. Credle is also Founder and President of the UR Great Empowerment (URGE) Foundation, Inc. It is a nonprofit organization whose mission is to inspire, empower, and prepare people, particularly women, to create desired change in all aspects of life, by providing an array of activities/events that will help them transform and transcend thinking to a mindset of positive self-worth and purpose. Dr. Credle’s occu-passion is helping women to help themselves through self-examination, deciding with determination that they are worthy, and building the capacity to change. She is the Creator & Host of the “Woman: Thou Art Great - Women Sharpening Women Conference” which was first presented on March 19, 2016. The 2nd Annual “Woman: Thou Art Great - Women Sharpening Women Conference” was held on March 25, 2017. Both conferences had over 160 women in attendance. A portion of the proceeds were donated to a local non-profit organization making a difference in the lives of victims of domestic violence. Dr. Credle served as a Public School K-12 Educator for over 28 years as a Special Education Teacher, Counselor, Vice Principal, Supervisor of Human Resources and Special Education, Director of Human Resources Operations and Staffing and Diversity and Equity. Dr. Credle is currently an Adjunct Professor at Strayer University in the Washington D.C. area where she teaches Graduate Level Human Resource Management Courses. She is a member of numerous professional and social organizations to include Delta Sigma Theta Sorority, Inc. , and a Charter Founder & former Vice-President of the Virginia State University Alumni Association-Prince George’s County, MD. Finally, Dr. Credle is originally from the South Side of Chicago, IL and currently resides in southern Maryland with her husband, Minister (Retired Army Major) Ira O. Credle. She is a first generation college graduate and the second oldest of eight siblings/sisters.